Our member and ITB Berlin co-exhibitor, Mews, announces the launch of their future-proof reception kiosk, the Mews Operator. 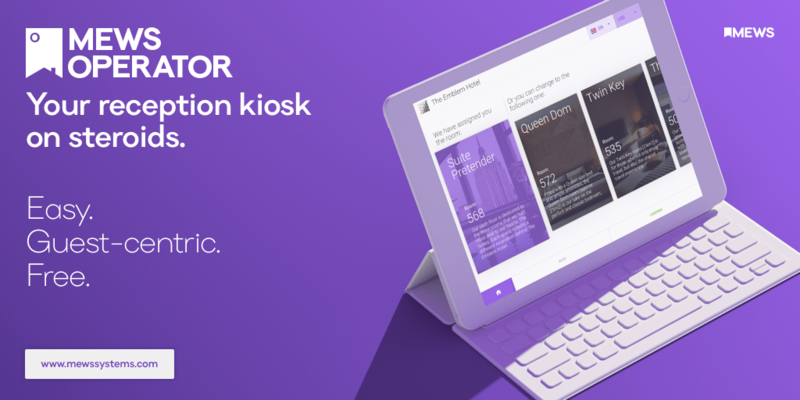 The Operator is a free kiosk app that any property can have up and running in minutes with any Android tablet. According to Mews: “A handful of enlightened hotel groups like CitizenM have taken the initiative to custom-build successful check-in/out kiosks at their own properties but many others who attempted to follow their lead have failed. In the end, most ended up spending up to €50,000 for a company to build each bespoke kiosk and too often these crude boxes are clunky and the software regularly judders to a halt. Schedule an appointment, or stop by the Mews Systems booth in the WYSE Village where they will have three kiosks on display for anyone to try. Read more about the Mews Operator.